Ceramic and tungsten are combined in this 7.9mm spinning ring. 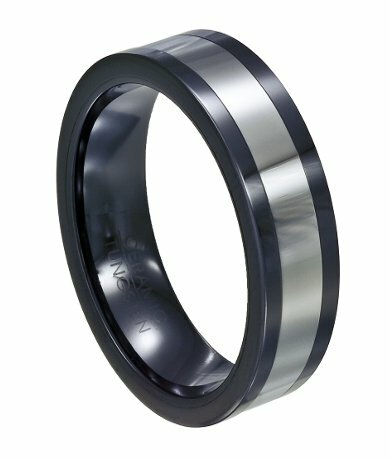 This black ceramic ring has a natural color tungsten band which is the spinning part of the ring. Comfort fit tungsten rings usually run 1/2 size larger, it is suggested you buy a half size smaller than your standard ring size. We recommend having your finger measured for a comfort fit ring at your local jewelry store for an accurate fit. 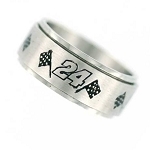 All of our tungsten rings come with a lifetime warranty. My boyfriend loves this ring...I gave it to him for Christmas and it looks great on him! Comfy too!